WhatsApp seems to have a nice little surprise for its Android users after being acquired by Facebook for a hefty sum of $19 billion. You can now disable your “last seen at” status on Android, just like you could on iOS. The feature is currently only available on the WhatsApp version 2.11.169 apk that is available on the website and the updates are yet to be rolled out in the Google Play Store. In the newest version of WhatsApp, you can change who sees your Last Seen information. It is set to everyone by default, but you can change that to contacts only or even nobody. Last Seen highlights when a user has been last seen on WhatsApp. The feature is enabled by default which means that you can find out exactly when someone used WhatsApp for the last time. Head over to Settings -> Account -> Privacy -> Last Seen -> Everyone/My Contacts/Nobody. The second privacy-related change concerns the profile photo. Here you can also select to show it to everyone, which is the default option, only to your contacts, or even to nobody as well. Last but not least, you get the same three visibility options for your status as well.If you set the values to contacts only, then only your contacts can see last seen or status, or the photo on WhatsApp. As you may know, new versions are always published on the company website first before they find their way into the various app stores in which the application is being offered. If you have never installed an app from outside the store, you need to enable the installation from unknown sources in the Android settings first. You will be reminded of that once you click on the apk file that you have downloaded to your system. 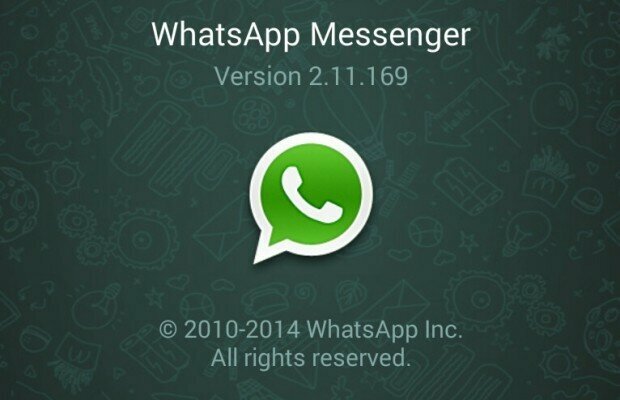 WhatsApp will be updated automatically then to the latest version. You can find the privacy settings under Settings -> Account -> Privacy. Many of us were eagerly waiting for this update to come. What do you think of this update of WhatsApp? Suggest with your comments below. ← Previous Story Moto G officially launched in India!